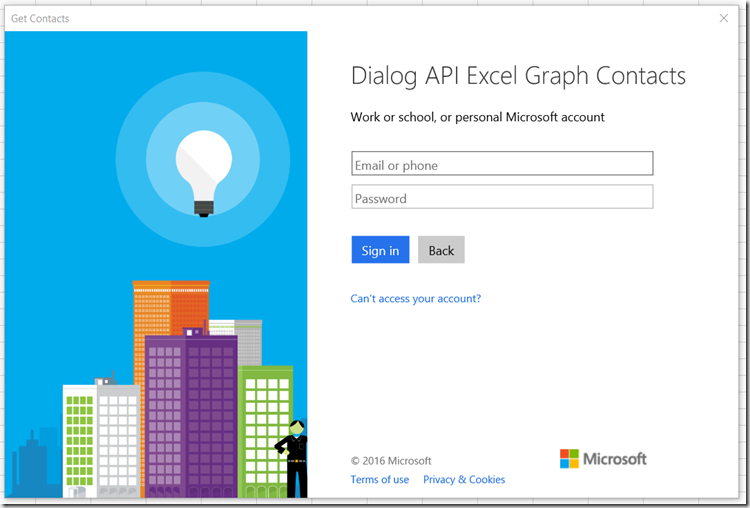 Managing Authentication flow within Office Add-ins has just got a whole lot easier with the introduction of the new Office UI Dialog API. This post shows you how to create a simple Excel Add-in Command in Visual Studio 2015 that uses the new Dialog API to authenticate a user and then import their Outlook Contacts using the Microsoft Graph API. If you are new to developing O365 Add-ins then I would highly recommend you check out the Getting Started page of dev.office.com. 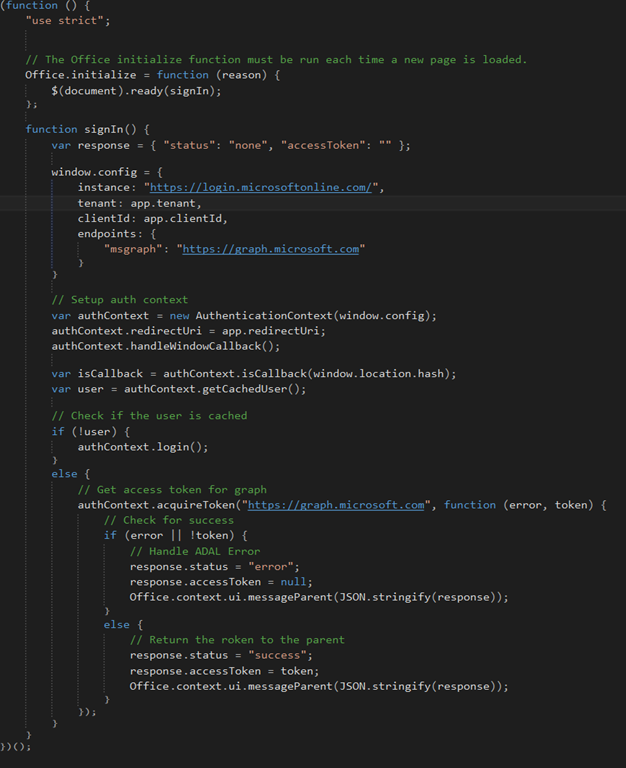 There are reams of examples and samples to help you get up to speed with links to the Office SDKs and a Yeoman Generator for Office if Visual Studio is not your thing. 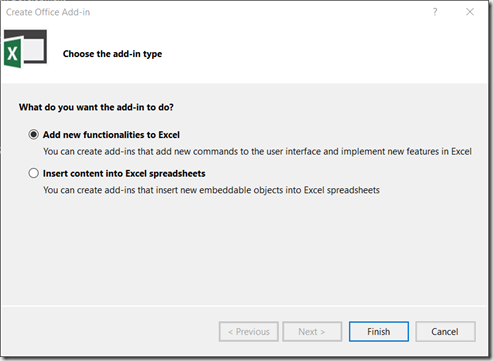 In this step you’ll create a new Excel Office Add-in using Visual Studio. If you haven’t done so already, make sure you have downloaded and installed the Visual Studio Office Developer Tools. With the latest Office developer tools installed open Visual Studio and choose File-New-Project. In the dialog prompt choose Office/SharePoint under Installed Templates-Visual C#. 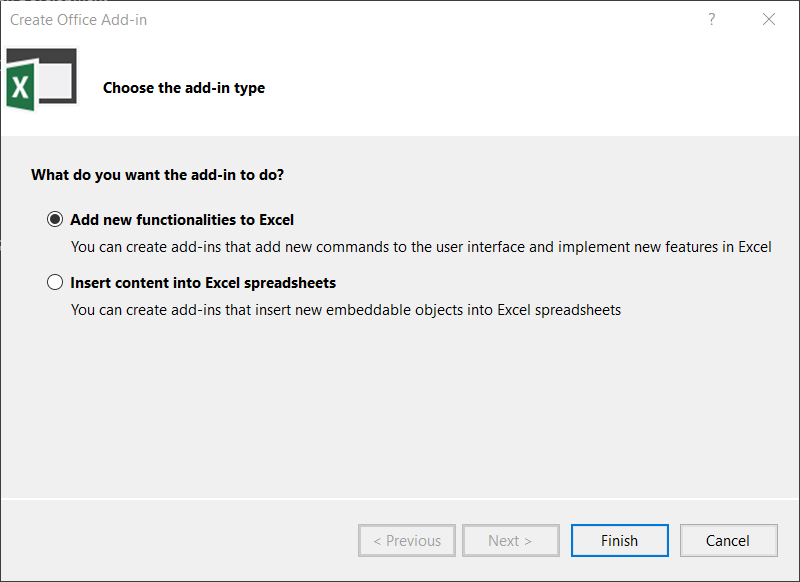 Choose Excel Add-in and enter a project name. Accept the default and press Finish. 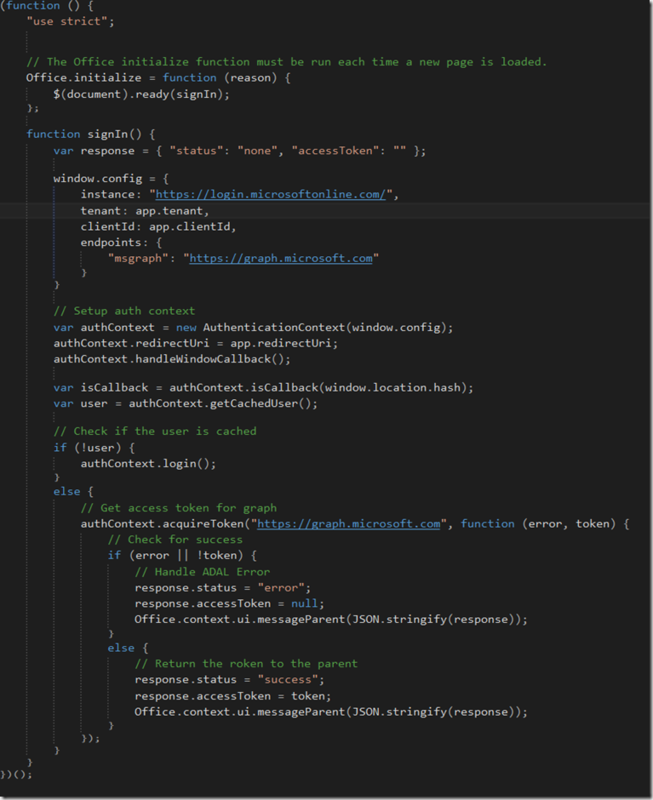 Visual Studio will create 2 projects: an Office Project which contains the add-in manifest; a web project that contains the content for the add-in. If you want more detail about the anatomy of an office add-in please refer to the following resource. 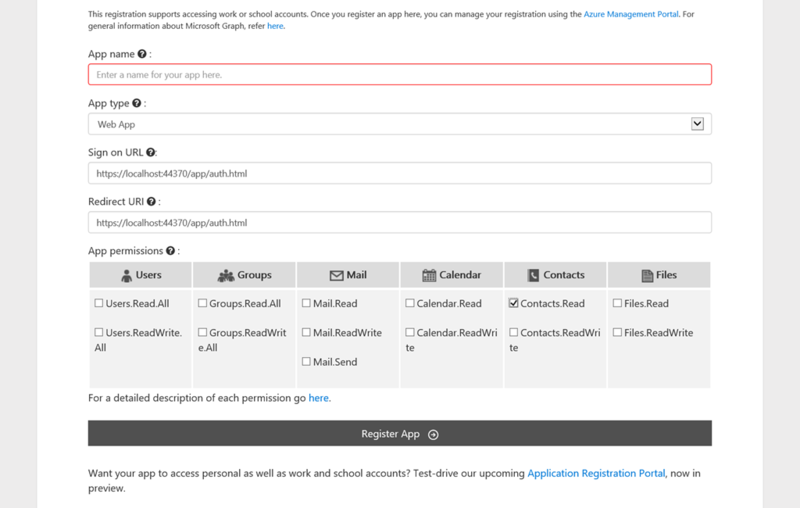 In this step you’ll go through the steps of registering an app in Azure AD using the Office 365 App Registration Tool. 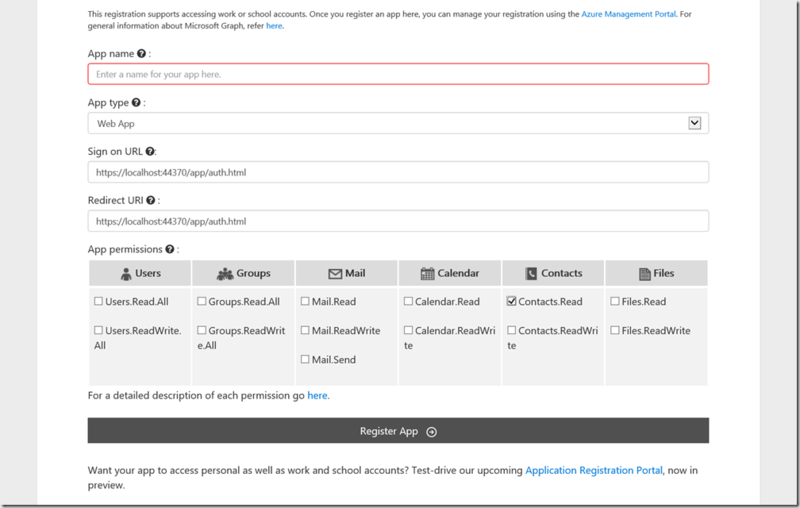 You can also register apps in the Azure Management Portal but the Office 365 App Registration Tool allows you to register applications without having access to the Azure Management Portal. Azure AD is the identity provider for Office 365, so any service/application that wants to use Office 365 data must be registered with it..
Feel free to give the app a name of your choice but the redirect URI must match what is shown above. Once you hit register you will be shown a second dialog which will; hopefully say “Registration Successful” and show you your Client ID. Copy this value as you will need it to complete the Office add-in solution. The tenant is the O365 tenant you either created as part of the app registration or your existing O365 tenant name. Enter your O365 credentials (a user belonging to the tenant you specified in App.js) and if the user has contacts associated with the account then they should see them automatically added once the dialog is closed. I hope you have enjoyed this post…feel free to send me any comments.